Tony Irwin is a Chartered Engineer, Chair of Engineers Australia Sydney Division Nuclear Engineering Panel and Technical Director of SMR Nuclear Technology Pty Ltd.
Tony graduated in electrical engineering and worked for British Energy (formerly the Central Electricity Generating Board) in the UK for more than 30 years commissioning and operating eight nuclear power reactors. Following the Chernobyl accident he worked with Russian engineers to improve the safety of their reactors. 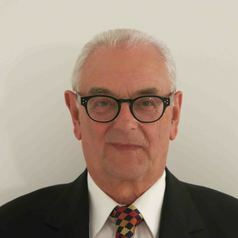 In 1999 he moved permanently to Australia and joined the Australian Nuclear Science and Technology Organisation (ANSTO) where he managed fuel strategies and provided the Federal Government with information on nuclear issues. He was subsequently appointed as Reactor Manager for the commissioning and operation of ANSTO’s new OPAL research reactor. Tony is now a Consultant. Tony provides and presents the Reactor and Fuel Cycle modules for the Master of Nuclear Science course at the Australian National University.